Sonar are a Hungarian quintet who play a space rock infused brand of progressive rock similar to Korai Orom, Ozric Tentacles, Hidria Space Folk, and even Circle. From their web site it looks like they've released 2 EPs so far, with the 4-song Deltroid being the latest. "Dubai" has a U2 flavor at times, but within a larger spaced out Ozric Tentacles styled context. It's got a solid rhythm section, ripping guitar and cosmic synths that all come together into a powerful space rocking whole. Very good production, musicianship and the band are really tight. "Lama Boutique" is more laid back, even dreamy at times, not unlike early Porcupine Tree, though it does have its moments when it shocks the listener with rocking intensity. The guitars are deep space and SEARING! "Central Station" starts off mellow, with steadily tripping guitars, alien electronics and a slightly jazzy rhythmic beat. It sounds like its building up and preparing to explode, but it never does. Just a cool grooving spaced out track. "Deltroid" is the most smoking track of the set, rocking hard right out of the starting gate with fiery cosmic, wah'd, bubbling psych guitar, totally freaked out alien synths, and a drumming style that gives it a powerful Circle feel. In fact, the whole track brings to mind mid-90's Circle, though much more spaced out. Wow, these guys really took me by surprise with their prog and space rock blend. Excellent playing, composition and arrangements all around. I hope to hear a full length from them soon. In the meantime, note that you can download all the songs from this EP and the earlier one from their web site. 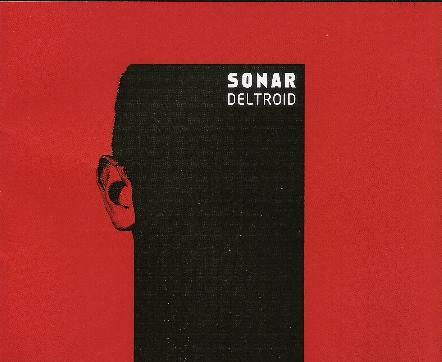 For more information you can visit the Sonar web site at: http://www.sonarmusic.hu.